On Wednesday I had the opportunity to attend a seminar on perpetual pavements. With a panel of experts on pavements they made a convincing case for asphalt roads. Toronto’s Don Valley Parkway is an example of a perpetual pavement; although we have repair to the surface every year the pavements below haven’t had major reconstruction since it was built 54 years ago. The real difference between a regular pavement road and a perpetual pavement road is the amount of extra asphalt in a perpetual pavement. The sub-grade is virtually unchanged and there is usually an additional 30% more asphalt in the intermediate layers. You can download a tool, PerRoad 3.3, from the Asphalt Pavement Alliance that allows you to enter in the values for climate, truck percentages, average use and number of asphalt layers that will calculate an approximate value for how much extra asphalt is needed in the design. And as a quick design check you can use AASHTO93 to see if these values seem to reliable; data to date demonstrates that the PerRoad software is reliable. I am currently working in the concrete department of a transportation agency and have read quite a bit about concrete roads. I think I’ll leave this one for now and later right another post comparing the two. 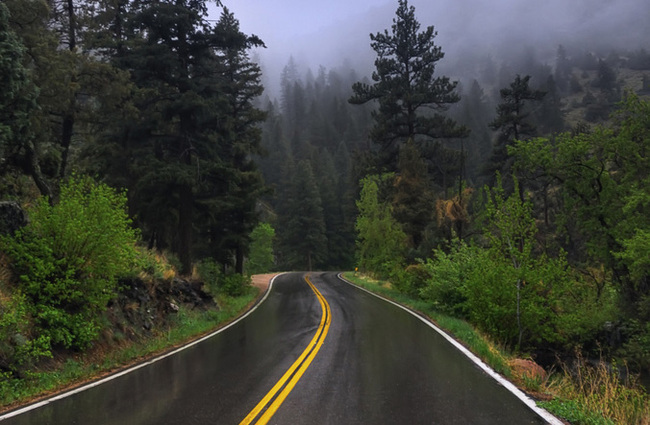 But in the end I believe that there is a place for both types of roads depending on the roadway situation – loads, climate, truck vs cars on the roads, flash flooding.. – all of these play a role in deciding what type of road to design. Great summary of perpetual pavements. Another strength with full bituminous pavements is that in event of damage (utility cuts, sectional base failure,etc.) a small section can quickly be repaired at a lower cost. I have been living in Tulsa OK a city that is almost exclusively PCC; The city has approximately the same budget and road network as Wichita. Wichita uses a balanced approach of PCC and asphalt. This mindset has allowed for a significantly more cost effective road network.